Wake up each day to piping hot coffee and a hearty country breakfast. 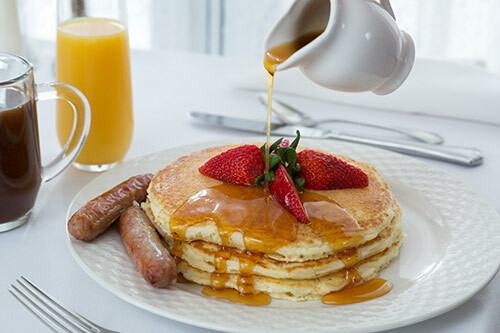 A complimentary full country breakfast is served each morning in the dining room for overnight guests. Choose from several entrée choices at your own private table in our dining room. For Lunch and Dinner check out local Bennington Vermont Restaurants. You will often see Kim’s smiling face at check-in. 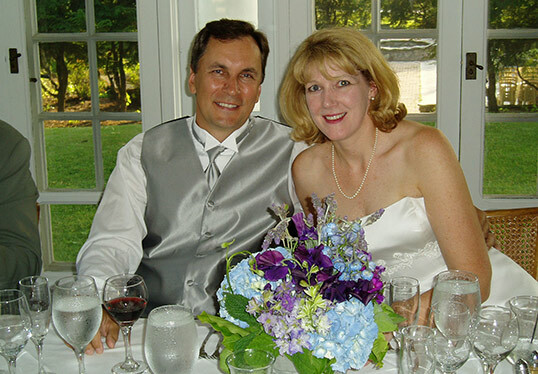 Kim comes to the Four Chimneys Inn with rich knowledge of the Bennington area and a true love for people. During her 21 years in the healthcare field, Kim wore many hats. Kim started in development and marketing before moving into performance Improvement. 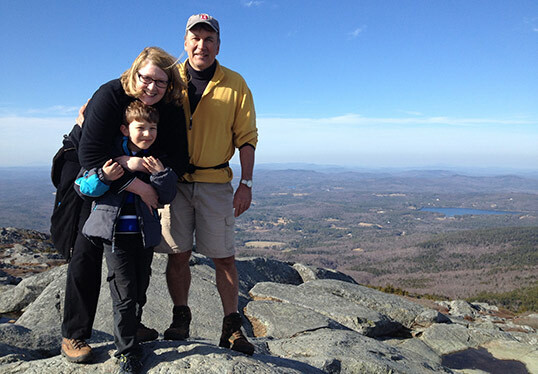 She spent 10 years managing a community wellness program and then most recently worked for the state of Vermont working with primary care offices on process and quality improvement. Kim decided to indulge her long-standing dream to manage a bed and breakfast and is now the innkeeper at The Four Chimneys Inn. Fiona is a California girl who came to Bennington to study Art History at Bennington College. After graduating, she decided to return to Bennington and immerse herself in the vibrant arts-community here. Fiona plans to eventually return to school for a graduate degree, but in the meantime loves making our guests feel at home and introducing them to some of the wonderful arts and cultural assets that Bennington has to offer. The original building dates to 1783 when it was the home of the Reverend David Avery, 2nd pastor of the Old First Church. Unable to afford the upkeep he sold the estate to Nathanial Brush, a notable participant in the Battle of Bennington, who later became a politician. Brush shortly ran out of money, turning the mansion into a boarding house and general store. In 1870 Tom Saxton, a Troy NY merchant, purchased and refurbished the property to its original grandeur. In 1910 the entire house burned to the ground, leaving only the foundation. 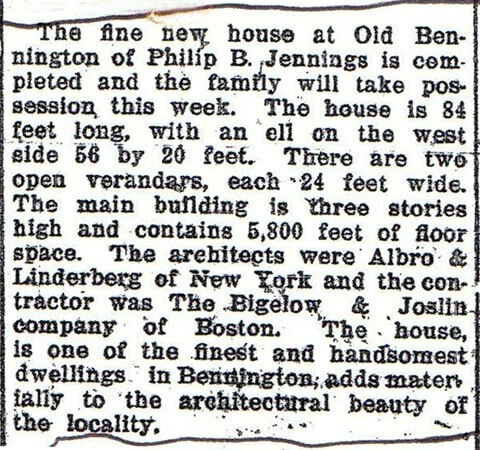 Philip B. Jennings, a prominent businessman rebuilt the estate as you see it today and lived in it until his death in 1949. In the 1950’s James Rollis transformed the mansion into a booming fine dining restaurant serving such celebrity clientele as Elizabeth Taylor, Richard Burton and Walt Disney. Norman Rockwell is even said to have painted a scene in the main dining room (although we can’t seem to locate it). In recent years the mansion was converted into a romantic bed & breakfast. Totally refurbished, The Four Chimneys Inn brings you all of the modern day amenities while maintaining its elegance and old world charm.